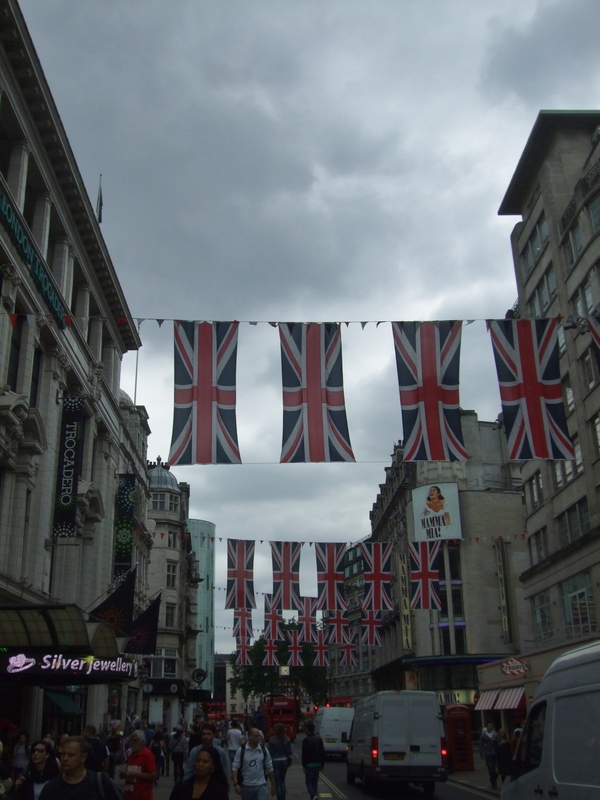 England Deserves a Gold Medal for Crisps | rubybeanx. So who hasn’t got Olympic fever?? Even if you don’t like sports – the opening ceremony was pretty cool. Even for us Internerds, Sir Tim Berners Lee made an appearance! WOW! How cool was he tapping away on his computer? Anyway, I am already digressing and I haven’t even began this blog post. The Olympics is on and the world is focussed on England. During my time there, I can tell you something the English are well good at that people around the world don’t hear about too often – chips. Or as they call it – crisps. You think the junk food is good in America, they would easily get a silver medal against England’s crisps selection. A stroll into Sainsburys will find you in awe of the sheer variety they offer. And since 40% of their population is overweight and the crisps industry sell in excess of 6 billion packets each year, you wouldn’t be surprised that not only is there quantity, but there is quality in their crisps too. Whether or not that is a good or bad thing I’m not sure, but as a potato chip lover I wasn’t complaining. England has the biggest crisps factory in the world, owned by Walkers. At the Walkers factory, a potato only takes 20 minutes to go from raw form to packet ready to ship form. 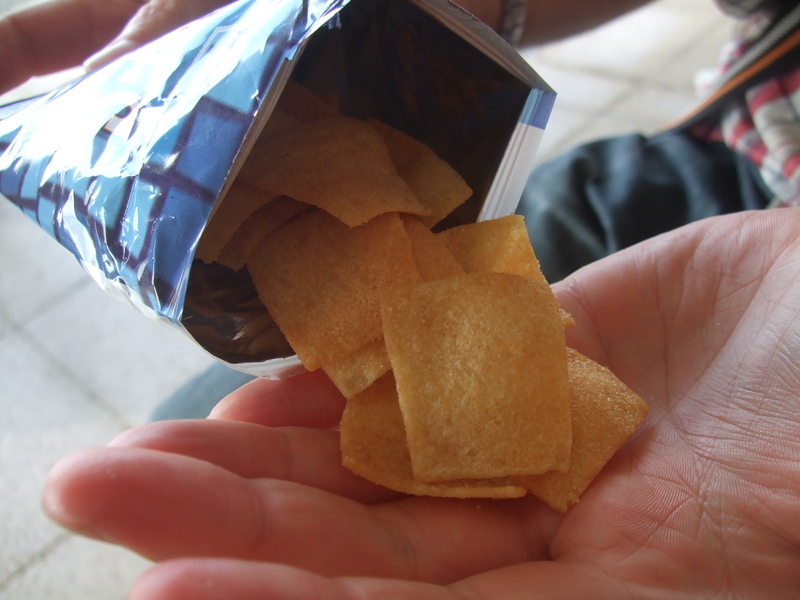 Frank Smith invented the first seasoned crisp, serving his crisps on the streets of London with a twist of salt. Jamie Oliver is well noted for his disdain at the crisps industry in England for health reasons. Besides the obvious health concerns, you gotta give it to the English; when they like something, they do it amazingly well. Crisps is one of them. So if you’re in London and you’ve had enough of the expensive food, the stale sushi or the endless Pret a Mangers/Starbucks/Costa Coffees, turn to a Tescos and indulge in some quality crisps. So here is the rundown of my favourite crisp varieties. These are cereal snacks with a potent flavour. They have a unique super crunch to them being wheat based instead of potato based crisps. The scampi fries are kind of stinky in a good way, and the saltiness of the seasoning is perfectly balanced with the lemon zesty flavour. Bacon fries are bacon flavoured – need I say more? The best thing about them is that they’re not overly salty, over/under seasoned, and they’re quite a robust crisp which not only aids in the crunch, but it means that they stay relatively in tact in the packet – no annoying end crumbs! You can find these mainly in pubs or pound stores. A well loved retro classic. A crisp of the bygone Smiths now Walkers now Pepsico era. Humble in packaging and appearance, French Fries are super crunchy yet very delicate and light in texture, and the Salt and Vinegar flavour is surprisingly amazing. Highly addictive and very satisfying crisps. These are a staple in the crisps diet. 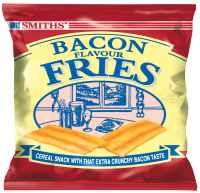 They are crinkle cut potato crisps and come in flavours such as Cheddar and Onion, Ready Salted, Bacon Sizzler, Salt and Malt Vinegar, Flame Grilled Steak – just to name a few. They’re marketed as the real deal, the manly men of crisps for its powerful crunch and cardinal flavours. No other crisps rivals it in crunch satisfaction as they are thicker than your average crisp, and the seasoning is spot on. 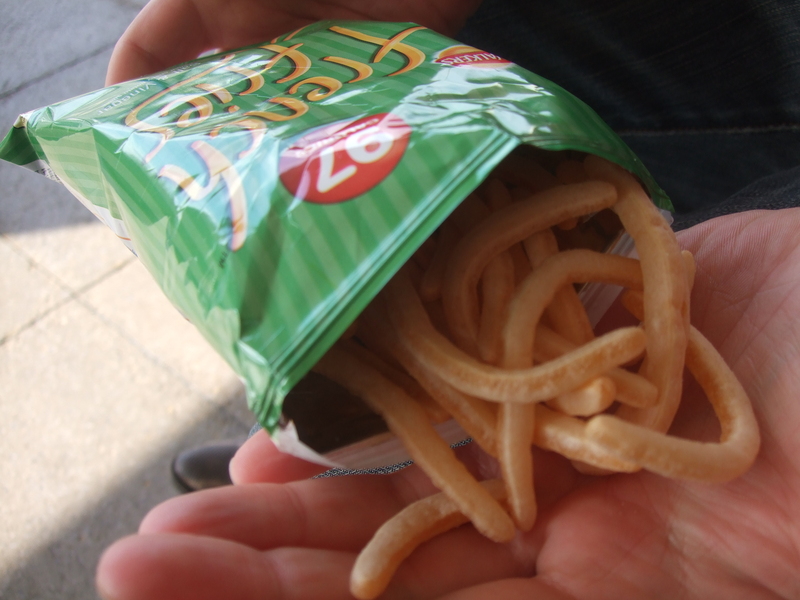 Monster Munch – an iconic English crisp, it’s a cereal snack shaped in monster shapes. Artificial as hell but novel and addictive. Squares – a successful crisp from the Smiths era. As the name suggests, they’re medium sized squares of flakey crisps. Similar to but not as addictive as French Fries, but the packaging is retro cool. Tags: crisps, England. Bookmark the permalink. I absolutely agree! I was disappointed by the nation’s hot chips, but their crisps were outstanding. 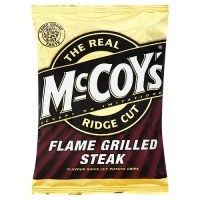 I remember loving McCoy’s in particular.